Many people have heard of the famous Rorschach inkblot test in which respondents are asked to look at ambiguous inkblot images and then describe what they see. The test often appears in popular culture and is frequently portrayed as a way of revealing a person’s unconscious thoughts, motives, or desires. One game created in 1896 even involved creating inkblot monsters to use then as prompts for stories or verse. Alfred Binet had also experimented with the idea of using inkblots as a way to test creativity and originally planned to include inkblots in his intelligence tests. 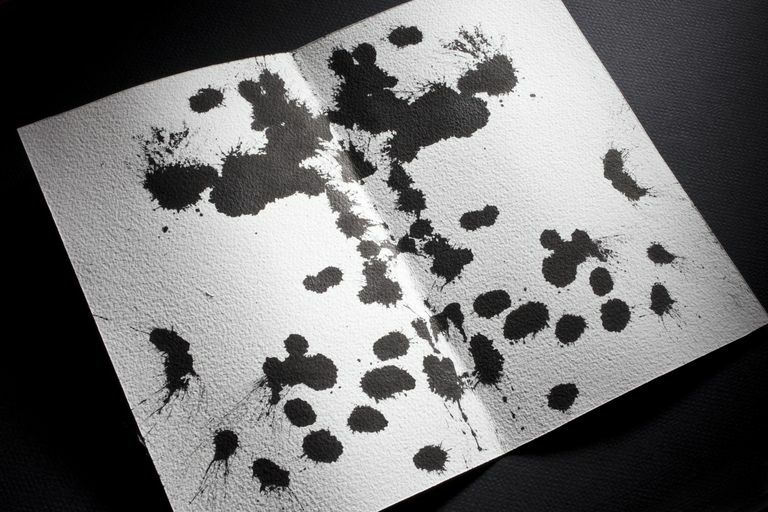 Inspired perhaps by both his childhood hobbies and his studies of Sigmund Freud's dream symbolism, Rorschach began to develop a systematic approach to using inkblots as an assessment tool. How Did Rorschach Create the Inkblot Test? Rorschach developed his approach after studying more than 400 subjects, including over 300 mental patients and 100 control subjects. His 1921 book Psychodiagnostik presented ten inkblots that he selected as having high diagnostic value. The book also detailed his approach to scoring responses to the test. His intention when creating the test was not to develop a general use projective personality test. Instead, his goal was to create a test that could be used in the diagnosis of schizophrenia. Rorschach's book found little success, and he died suddenly at age 37 just one year after the text's publication. Following the publication of the book, however, a wide variety of scoring systems emerged. The test has grown to be one of the most popularly used psychological tests. In order to understand how the inkblot tests work, it is important to understand how what it consists of and how it is administered. The Rorschach test consists of 10 inkblot images, some of which are black, white, or gray and some of which are color. A psychologist or psychiatrist who has been trained in the use, scoring, and interpretation of the test shows each of the ten cards to the respondent. During the test, the subject is provided with each of the ten cards, one by one. The subject is then asked to describe what he or she thinks the card looks like. Test-takers are allowed to hold the cards in any position they may want, whether it is upside down or sideways. The respondents are free to interpret the ambiguous image however they want. They may also respond in any way that they want. They may say that they see one thing, several different things, or even nothing at all. Test-takers can focus on the image as a whole, on certain aspects of the image, or even on the white space that surrounds the image. Once the subject has provided a response, the psychologist will then ask additional questions to get the subject to further elaborate on his or her initial impressions. The psychologist also rates the reactions on a large number of variables such as whether the subject looked at the whole image. These observations are then interpreted and compiled into a profile of the individual. How respondents describe the image. Certain responses are common on each card, so scorers include a code that identifies such responses. How long they take to respond. Taking a very long time before offering a response might indicate that the respondent is "shocked" by what they see. Factors known as determinants, which can include location, form, color, and shading, that generate a response. Extra or unrelated comments. Any additional comments that are made that are no part of the main response. The popularity or originality of the responses given. Some responses are quite common, while others may be much more unique. Highly atypical responses are notable since they might indicate disturbances in thought patterns. The first card in the Rorschach test is a black and white symmetrical image that respondents frequently describe as a bat, butterfly, or moth. Seeing animal or human shapes is a common response to each of the 10 cards. The third inkblot, for example, is often described as being two human figures engaged in some type of interaction. Responses to this card are thought to provide information about how the individual interacts with other people. A relatively fast response might indicate being at ease with others and comfortable with social relationships. A delayed response, however, might reveal that the individual struggles with social interactions. Certain inkblots contain the color red, which is sometimes perceived as blood. Responses to such cards can be an indication of how people cope with threats of harm or how they deal with anger. Sexual imagery is also often seen in many of the cards. Research suggests that certain responses to the inkblots might be indicative of schizophrenia and possibly bipolar disorder and schizotypal personality disorder. However, studies suggest that responses to the inkblot do not appear related to posttraumatic stress disorder, anxiety disorders, conduct disorder, major depressive disorder, dependent personality disorder, narcissistic personality disorder, conduct disorder, or antisocial personality disorder. Despite the popularity of the Rorschach test, it has remained the subject of considerable controversy. Many of the criticisms center on how the test is scored and whether the results have any diagnostic value. The test was criticized extensively during the 1950s and 1960s for its lack of standardized procedures, scoring methods, and norms. Before 1970, there were as many as five scoring systems that differed so dramatically that they essentially represented five different versions of the test. In 1973, John Exner published a comprehensive new scoring system that combined the strongest elements of the earlier systems. The Exner scoring system is now the standard approach used in the administration, scoring, and interpretation of the Rorschach test. In addition to early criticism of the inconsistent scoring systems, detractors note that the test's poor validity means that it is unable to accurately identify most psychological disorders. As you can imagine, scoring the test can be a highly subjective process. Another key criticism of the Rorschach is that it lacks reliability. In other words, two clinicians might arrive at very different conclusions even when looking at the same subject's responses. The test has shown some effectiveness in the diagnosis of illnesses characterized by distorted thinking such as schizophrenia and bipolar disorder. Some experts caution, however, that since the Exner scoring system contains errors, clinicians might be prone to over-diagnosing psychotic disorders if they rely heavily on Exner's system. The test is primarily used in psychotherapy and counseling, and those who use it regularly often do so as a way of obtaining a great deal of qualitative information about how a person is feeling and functioning. The therapist and client can then further explore some of these issues during therapy. Despite the controversies and criticisms over its use, the Rorschach test remains widely used today in a variety of situations such as in schools, hospitals and courtrooms. Some skeptics have been more critical, suggesting that the Rorschach is nothing more than pseudoscience. In 1999, some psychologists called for a complete moratorium on the use of the Rorschach inkblot for clinical purposes until researchers could better determine which scores are valid and which are invalid. A later report had more mixed finding about the usefulness of the inkblot test. The researchers concluded that while the test possessed problems, it did have established value in identifying thought disorders. "Its value as a measure of thought disorder in schizophrenia research is well accepted," the researchers suggested. "It is also used regularly in research on dependency, and, less often, in studies on hostility and anxiety. Furthermore, substantial evidence justifies the use of the Rorschach as a clinical measure of intelligence and thought disorder." Today, some psychologists dismiss the Rorschach as merely a relic of psychology's past, a pseudoscience on par with phrenology and parapsychology. Some experts suggest that while the Rorschach is certainly worthy of criticism, it is not without merit. The test's use in the identification of thought disorders had been well established and the available research does suggest that the test's validity is greater than that of chance. While the inkblot test may not be a perfect tool, it can play a useful role in identifying certain psychiatric conditions as well as a psychotherapeutic assessment. Lee, L. (1999). The Name's Familiar: Mr. Leotard, Barbie, and Chef Boy-Ar-Dee. Pelican Publishing. ISBN 978-1-4556-0918-5. Lilienfeld, S. O., Wood, J. M., & Garb, H. N. (2001, May). What's Wrong With This Picture? Scientific American, pp. 81-87. McGraw-Hill Publishers. (2001). Hermann Rorschach, M.D. Test Developer Profiles. O'Roark, A.M. (2013). History and Directory: Society for Personality Assessment Fiftieth Anniversary. Hillsdale, NJ: Lawrence Erlbaum Associates, Inc.
Watkins, C.E., et al. (1995). Contemporary practice of psychological assessment by clinical psychologists. Professional Pscyhology: Research and Practice, 26(1), pages 54–60. Wood, J. M., Nezworski, M.T., & Garb, H.N. (2003). "What's Right with the Rorschach? "The Scientific Review of Mental Health Practice, 2(2).